Logistics company Multiple Hauliers and mining company Base Titanium have rolled out a campaign that aims to create awareness to school-going children about road safety. This is in an effort to encourage the children to be alert while crossing the roads. 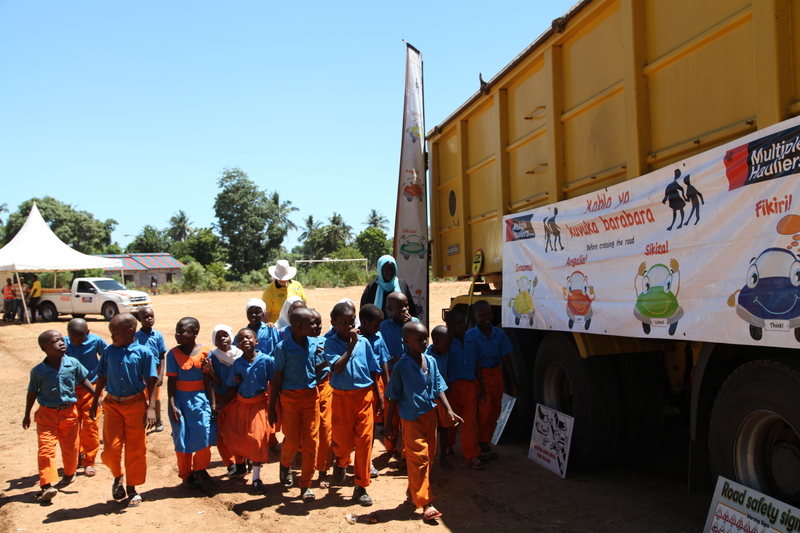 The campaign will see children in 12 schools along the Lunga Lunga- Likoni Highway given lessons on road safety. The campaign was launched by the two organisations after they noted that the school going children cross the road carelessly and dangerously. Base Titanium uses the Kenyan owned Multiple Hauliers to transport ilmenite, rutile and zircon to its port facility in Likoni and to the Port of Mombasa. Multiple Hauliers, a Kenyan company, won a competitive tender process for the contract competing against international companies. According to the National Transport and Safety Authority statistics show that 714 people lost their lives in the first eight months of 2017 from 766 in 2016 while 647 pedestrians were reported to have suffered slight injuries down from 1,015 last year. Base Titanium has a highly commendable safety record, its recently released December quarterly report, the companies lost time injury frequency rate (“LTIFR”) remained at zero, meaning Base Titanium’s employees and contractors have now worked 11 million man-hours lost time injury (“LTI”) free. This is a performance far superior to the international mining industry performance. Base Titanium has also won various awards at the national Red Cross first aid competitions.